We have a number of social groups in our parish with a variety of interests and activities. New members are always welcome to come along and take part. This group of volunteers open up the church building and provide a friendly welcome for anyone, members of the congregation and visitors alike, to enjoy the peaceful interior of the church. Thanks to these volunteers, we are able to open the church to visitors every day of the week. 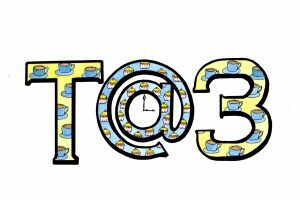 T@3 provides a warm space and hospitality in which people have the chance to catch up with old friends and make new ones whilst enjoying good food. We therefore invite you to join us for Afternoon Tea at 3pm on the second Monday of the month in the Church hall. There will be a variety of sandwiches and cakes, tea and coffee. music and friends. The Social Committee provides at least one social event each quarter, such as the Harvest Supper, quiz nights etc. This Group provides an opportunity for the men in the congregation to meet informally in the evening, and to hear from a guest speaker. Meetings at Woods Restaurant in the Pantiles are sometimes accompanied by keenly-fought boules competitions! We have a thriving musical tradition at King Charles and a number of active choirs and music ensembles in the parish. If you would like to sing at choral services or take part in concerts, find out more on our choirs page. This group for women meets on the third Friday of the month from 12.30 – 2.30p.m. After a snack lunch, during which we catch up with one another, we have a conversation around a topic on which we have been invited to reflect. The group provides a confidential space where we can share thoughts and feelings and, by listening to each other, can give and receive support, in the context of an awareness of the spiritual dimension of human life.